Are you known to live life in the fast lane? Oh, be honest, we won't judge you! We'll even let you in on a little secret about our past: we love the fast lane. In our heyday, we were attracted to a lifestyle that can best be described as 'exciting,' doing the absolute most to act as a real life James Bond. We filled our days full of adventure and intrigue, plus we loved taking plenty of risks. If your current lifestyle is similar to our former one, don't hide it. Advertise it! Crank up the Eagles classic song, "Life in the Fast Lane," and go crazy! Don't conceal all your dangerous ambitious by wearing a Halloween costume that can best be described as 'ordinary' or 'safe,' (we're looking at you, bed sheet ghost costume.) Publicize your appetite for hedonism by wearing a costume that represents your pedal-to-the-metal lifestyle! Zoom into the party wearing this racer jumpsuit and make it known that you prefer the flashy style of living. It will be obvious once everyone sees you in this bright red costume! 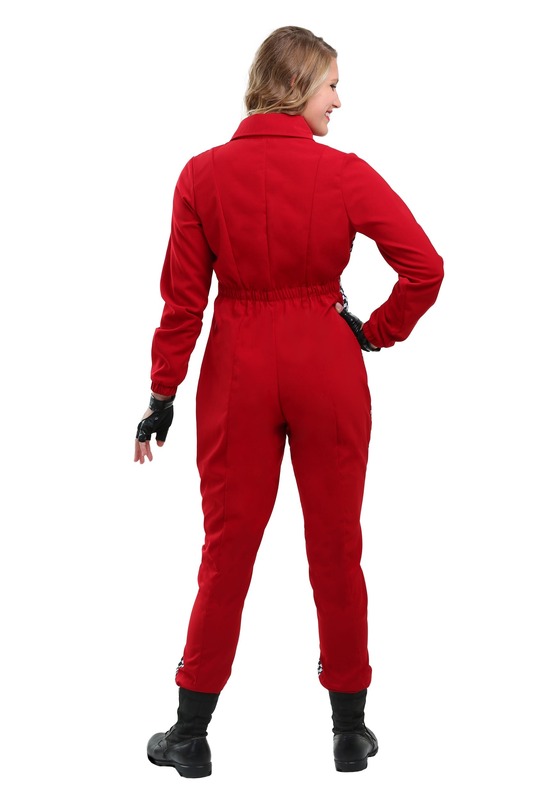 Step into the red jumpsuit with full zipper and you'll be ready for maximum speeds. 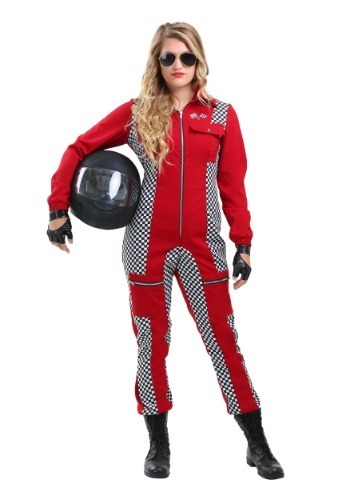 This plus size women's costume features checkered flag decals and zippered cargo pockets so all your valuables are stored safely while you're zipping through the party, brushing shoulders with your pals. Accelerate the look by adding combat boots and aviator sunglasses. Don't be surprised if you unintentionally leave others in the dust; not everyone can keep up with a girl like you!